Okay, so I just can’t keep quiet about this one. Apple has released their latest iPhones, the 5S and the 5C. While the release of the 5C is particularly hilarious given that it’s a “low-end” phone that Jobs said Apple would never release because they’re a “premium products” company. That’s not what’s really bugging me, although it does help me laugh myself to sleep at night. 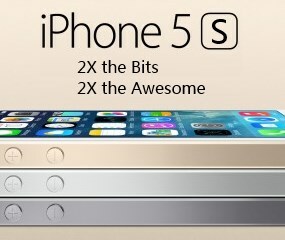 What’s bugging me is the fact that the #1 “attraction” in the new iPhone is the 64-bit processor. Does a 64-bit processor actually matter at all? Is it really 2X faster? Okay, this one is VEEEERY annoying. You have the 64-bit flavor of Windows 7 or Windows 8. You install Adobe Acrobat Reader. You expect that on your desktop and in Explorer, you will see a thumbnail preview image of the first page of each PDF document. Instead, you get nothing. NOSSING! So, you search Google, and you find a bunch of tricks, fixes, and paid software that doesn’t work. 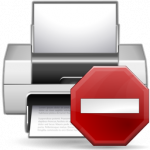 Printing with 64-bit Windows can be a lot of fun if you don’t have a 64-bit driver. 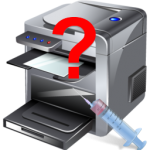 As I mentioned in Windows x64: How to Print to Any Printer Even Without a 64-bit Driver, there are ways to make your printer talk, even if they are a bit involved. There is one other trick in particular that you might want to try first, though: use a similar 64-bit driver from the same manufacturer and fool Windows into thinking that everything is working fine! For the rest of you, read on! If you’re like me, when it comes time to upgrade Windows or the hardware inside a computer, you do things the old fashioned way: you manually copy all the user’s desktop, settings, and data onto a backup drive, and then restore it all after the upgrade. Recently I have discovered a much, much easier and faster way to do the same thing. It’s called Windows Easy Transfer, and it’s present in Vista, Windows 7, and you can even install it on an old XP box. Best of all, it comes with Windows. While it won’t transfer programs themselves from the old machine onto the new, it will save you a lot of time and frustration. Since Microsoft isn’t very big on explaining how it all works, I decided to share my recent experiences to illustrate just how handy it is. Let’s say you’ve written a little 32-bit script that calls a Windows command such as nbtstat. When you try to run the script in x64 Windows, you get an annoying “File not found” error – even though you can see the command sitting in the \Windows\system32 folder. x64 version of Windows have two system folders: \Windows\system32 and \Windows\SysWOW64. The 32-bit commands are in the SysWOW64 folder, and the 64-bit commands are stored in the system32 directory. x64 Windows looks in system32 by default when you call a command line function, since it tries to call the 64-bit goodies (no, that’s not backwards!). So, you might think that you can simply change your script to explicitly call, for example, \Windows\system32\nbtstat instead of just nbtstat, and you’ll be off and running, right? Wrong. So, let’s say you’ve taken the plunge and installed 64-bit Windows XP, Vista, or Windows 7. All is going well, until you try to install your printers. It’s at that point that you discover that Windows doesn’t have a 64-bit driver for your printer. Worse yet, the manufacturer may not provide one, either! What the heck are you supposed to do now? Fortunately, there IS a way. And, strangely enough, you have Mac OS X to thank for this solution! I’m sure you’ve all heard some hype about 64-bit this and 64-bit that. The thing I read the most is that a 64-bit operating system or piece of software is automagically twice as fast as a 32-bit one. Not so. 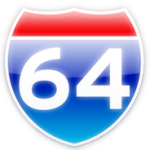 Worse yet, some operating system vendors market their product as having an “advanced 64-bit architecture”, when the truth of the matter is that their OS is not fully 64-bit. There is one true reason though why you will actually want to switch to a 64-bit OS in the near future: the infamous 3GB barrier. Just what the heck is this mystical barrier, and why should you care?